Lava Z50 comes bundled with a cashback offer of Rs 2,000 from Airtel as part of the company’s ‘Mera Pehla Smartphone’ programme. 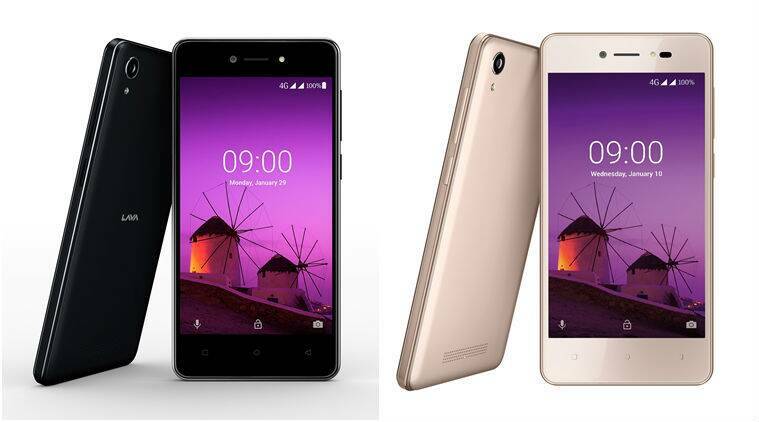 Lava Z50, the company’s first Android Oreo (Go edition) smartphone has been announced in India at an effective price of Rs 2,400. Lava Z50 is being made available via offline retail stores in Black and Gold colour options. The device can be bought on Flipkart, Amazon and Snapdeal online. Lava Z50 comes bundled with a cashback offer of Rs 2,000 from Airtel as part of the company’s ‘Mera Pehla Smartphone’ programme. Lava Z50 MOP (Market Operating Price) is Rs 4,400. However, with Airtel’s cashback offer worth Rs 2,000, the effective price comes to Rs 2,400. Lava Z50 features a 4.5 inch display with 2.5D Curved Corning Gorilla Glass for protection against scratch. The entry-level phone is powered by 1.1 GHz Quad-core Mediatek MT6737m processor, coupled with 1GB of RAM and 8GB of internal space. Lava Z50 supports enhanced storage space up to 5.5GB, which is said to help in increasing the RAM performance up to 50 per cent allowing apps to open faster. Lava Z50 gets a 5MP rear and front camera with flash with support for ‘Bokeh’ mode on both the front and rear lens. The ‘Bokeh’ mode allows users to take pictures with the object in sharp focus while the background is blurred. Lava Z50 enables search in 10 major Indian languages, including Hindi. Users can search for images, weather and also translate from search home screen. Lava Z50 can be bought with two-year warranty and a special launch offer of free one-time screen replacement, in case screen breaks within 1 year from the date of purchase. “We are delighted to announce the availability of Z50 for our customers, making it India’s first Android™ Oreo™ (Go edition) Smartphone to be available in the market. With the cashback offer from Airtel, LAVA Z50 is effectively available for Rs. 2400, making it a great option for smartphone buyers, looking for best technology at the most competitive price,” Gaurav Nigam, Head – Product, Lava International said in a press statement.